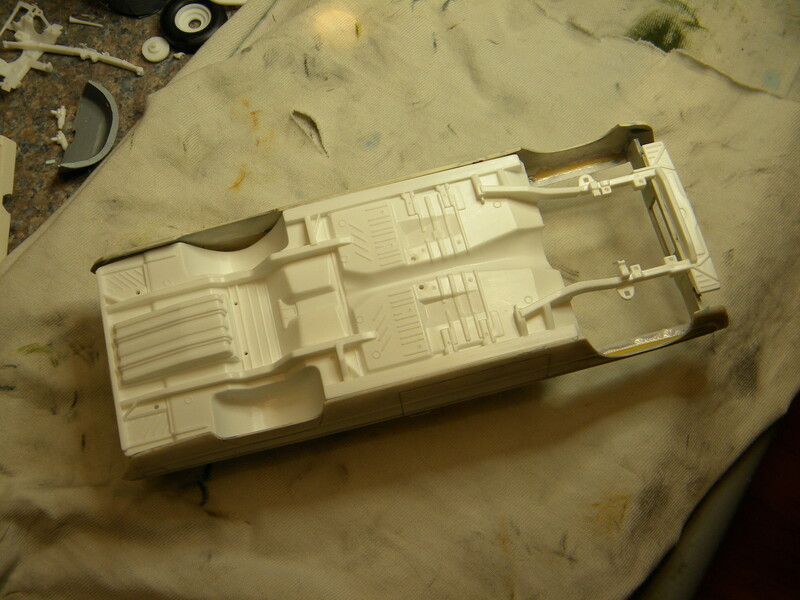 I re-started this Johan 1965 Fury kit about a month ago. 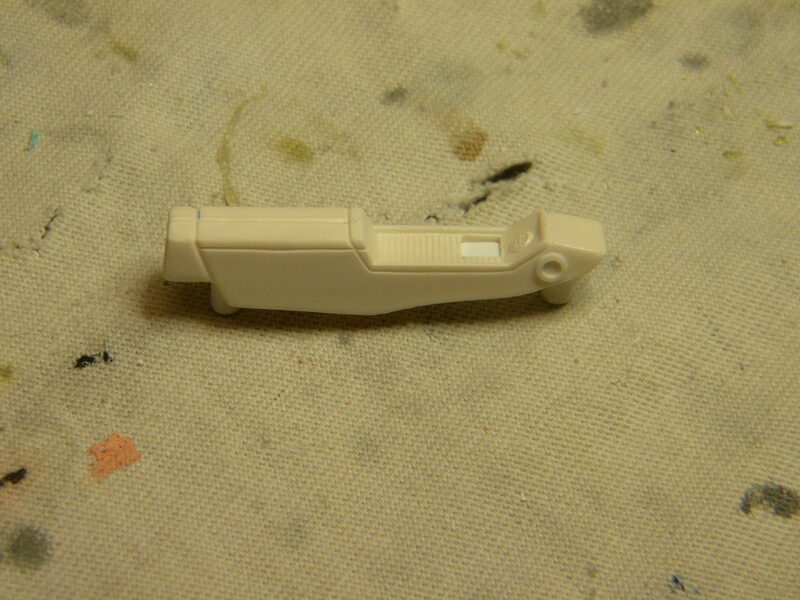 Originally, it was going to be factory stock build, but I have since decided that it will be more along the street machine line. 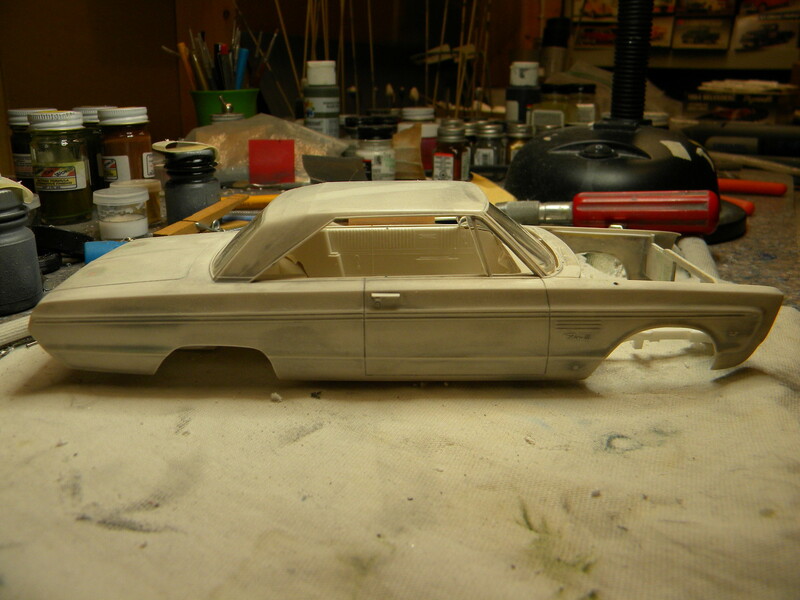 Nothing earth shattering, but the wheels will be Torque Thrusts and the engine will be basically straight from the Lindberg '64 Dodge "Color Me Gone" kit. 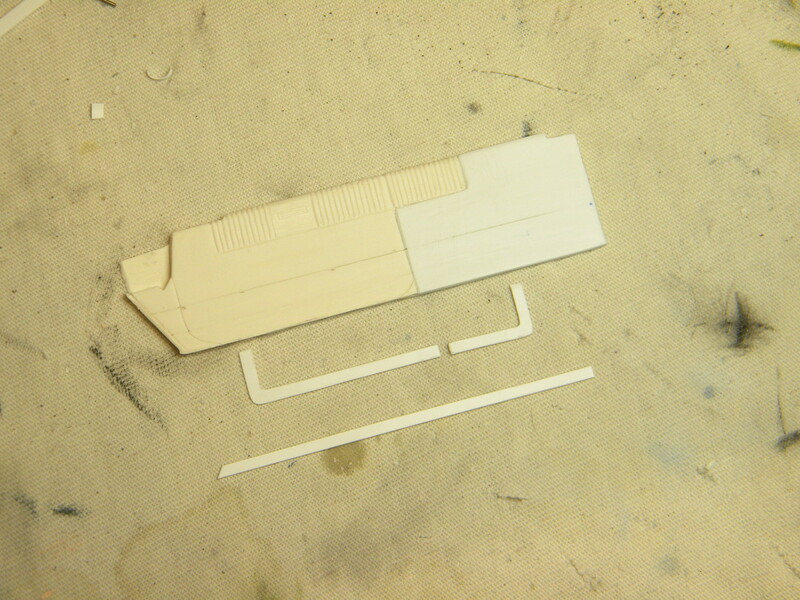 There are a lot of modifications going into this build which I will chronicle in several posts, starting with a complete chassis swap. 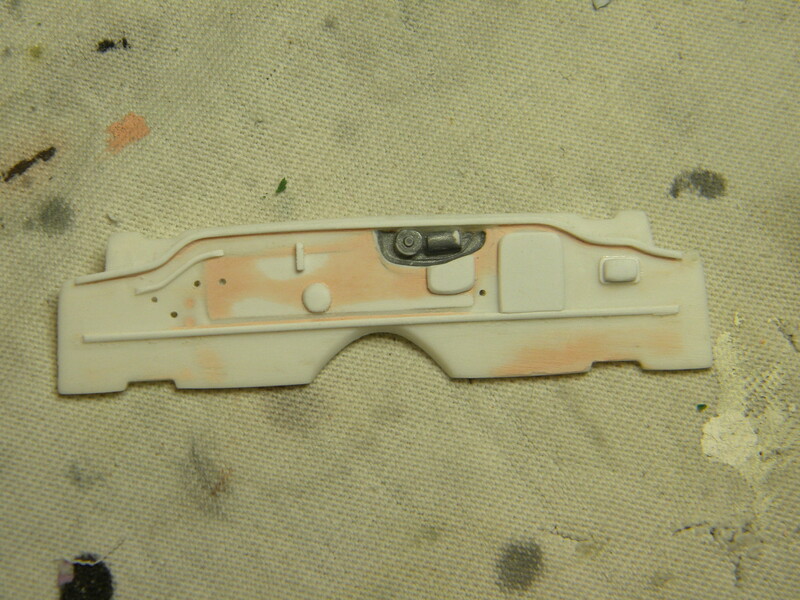 The chassis from the Color Me Gone kit fits with nearly no modifications at all! 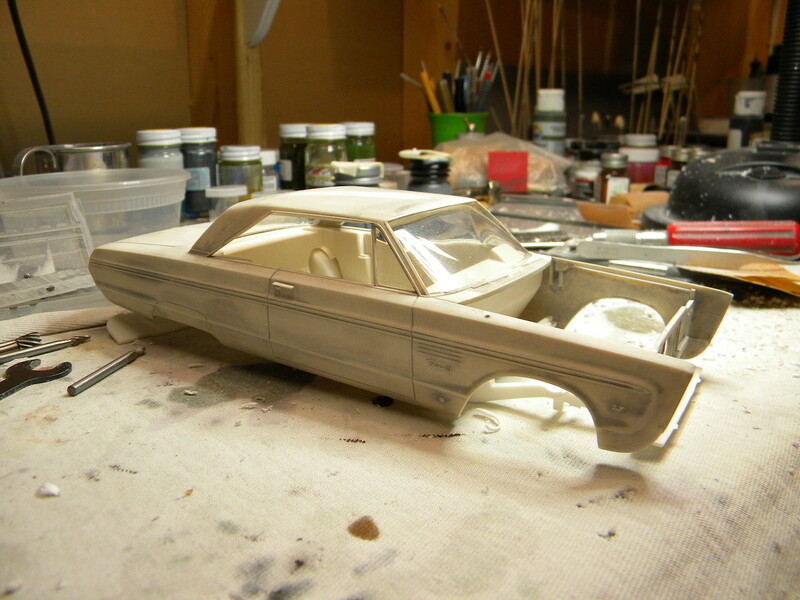 Just a little shaving and grinding to allow space for the interior and bumpers. 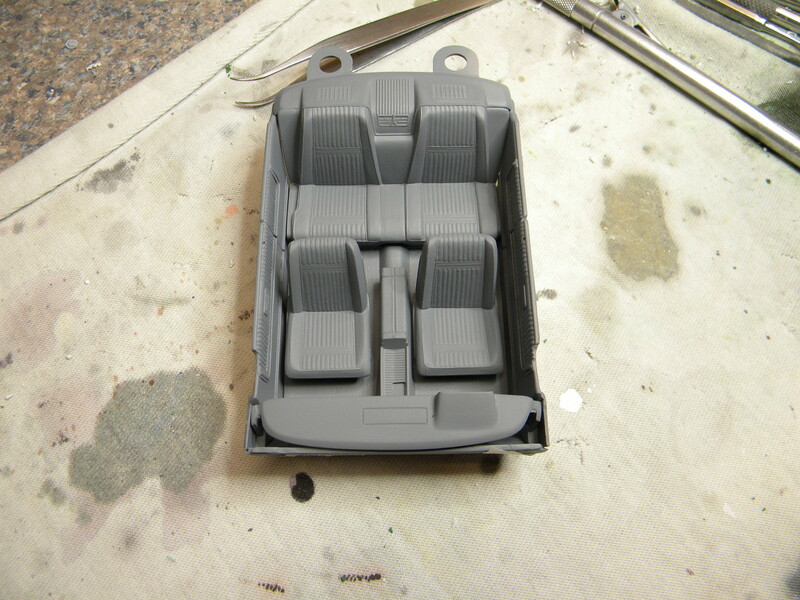 Fender wells from the original Johan kit have been modified and transplanted onto the Dodge chassis, and a battery tray has been added, along with a washer jar fabricated. 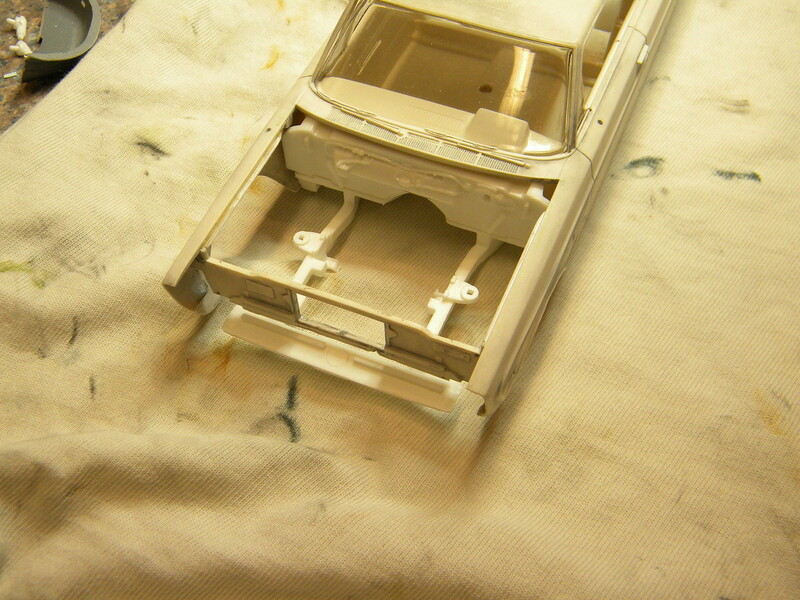 Some pretty extensive grinding, shaping and re-fitting was required to allow the body, interior and chassis to all fit together properly. 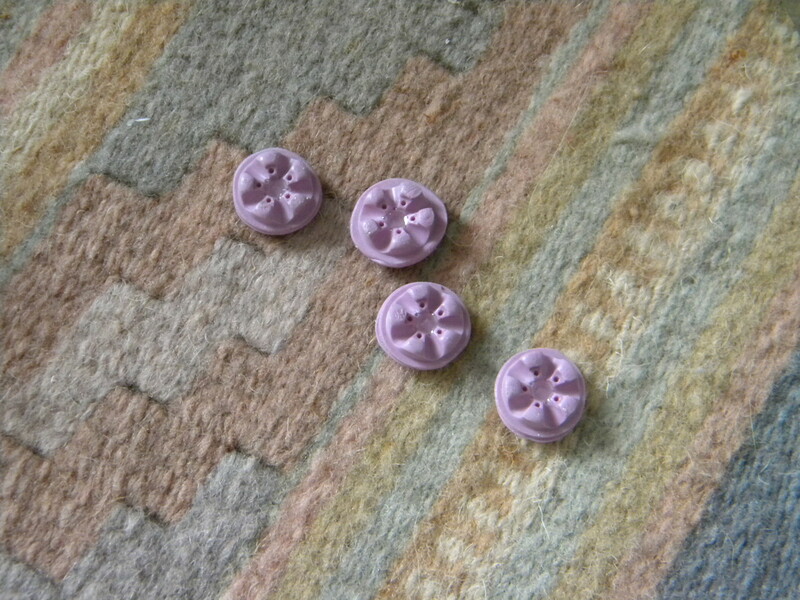 I couldn't leave the wheels alone either! 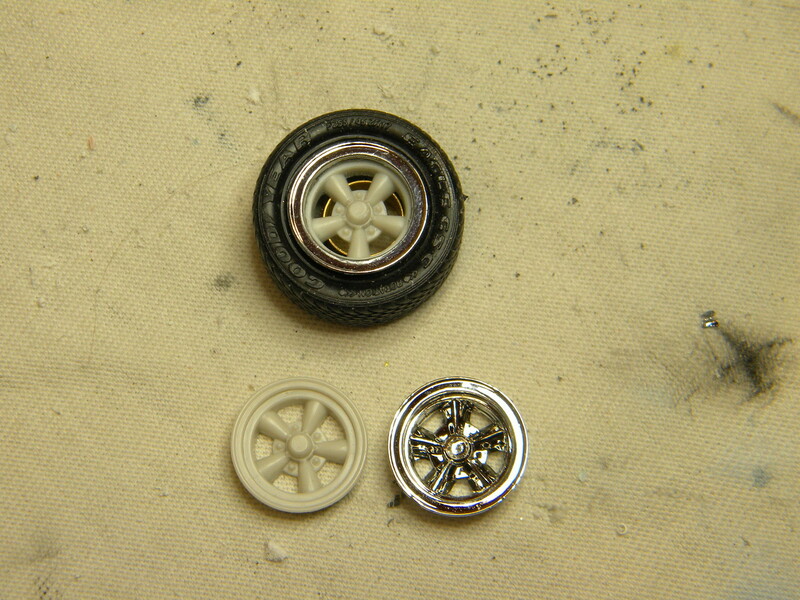 They will be rebuilt using the centers from the wheels included in the AMT '62 Belair kit, the outer rim from the Color Me gone wheels, and re-cast center hubs. 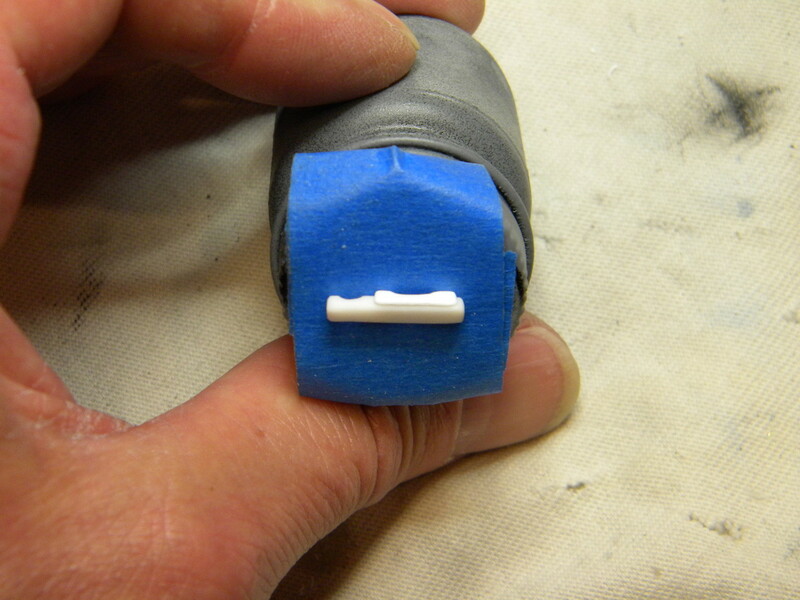 This will make wheel detailing much easier and sharper. 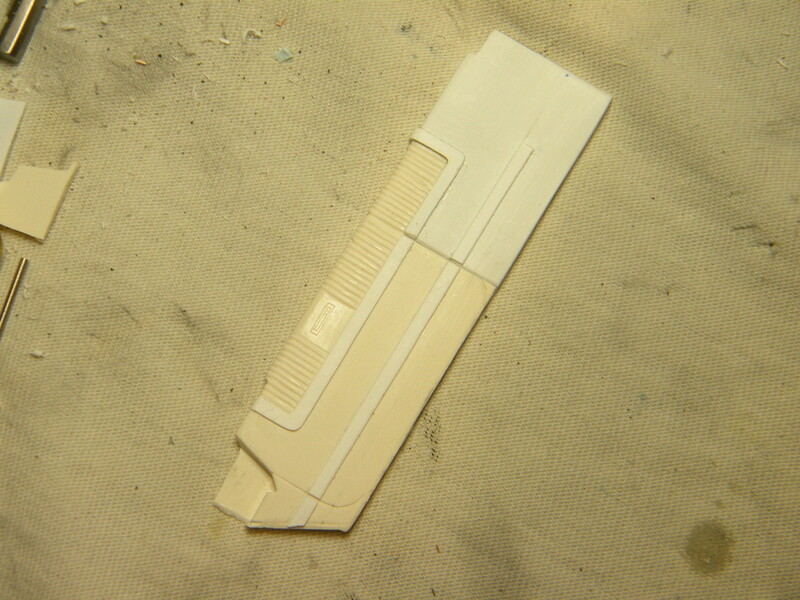 The outer rim will be painted with Alclad "Polished Aluminum", the centers in dark steel and the caps, chrome. I'll be watching this one, love these johan classics. Now comes the real fun! 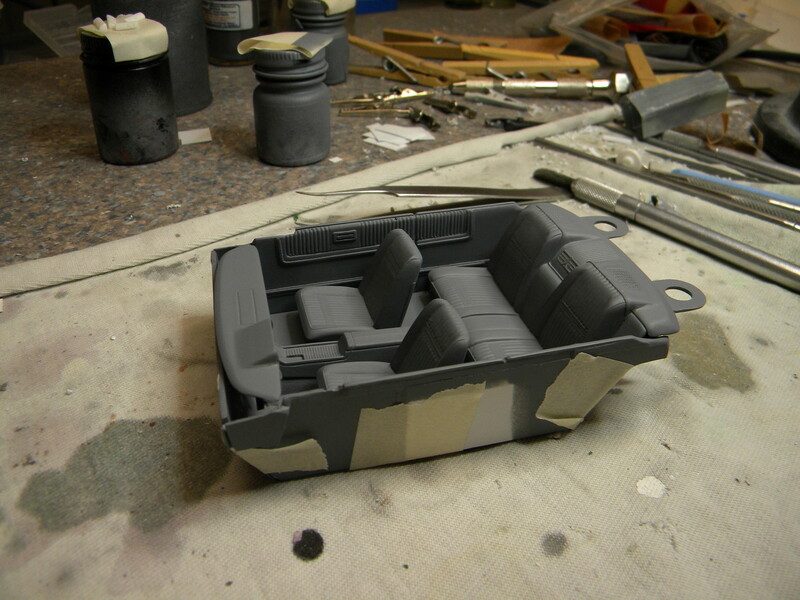 I decided that I needed to figure out a good way to update the interior by removing the convertible top wells. 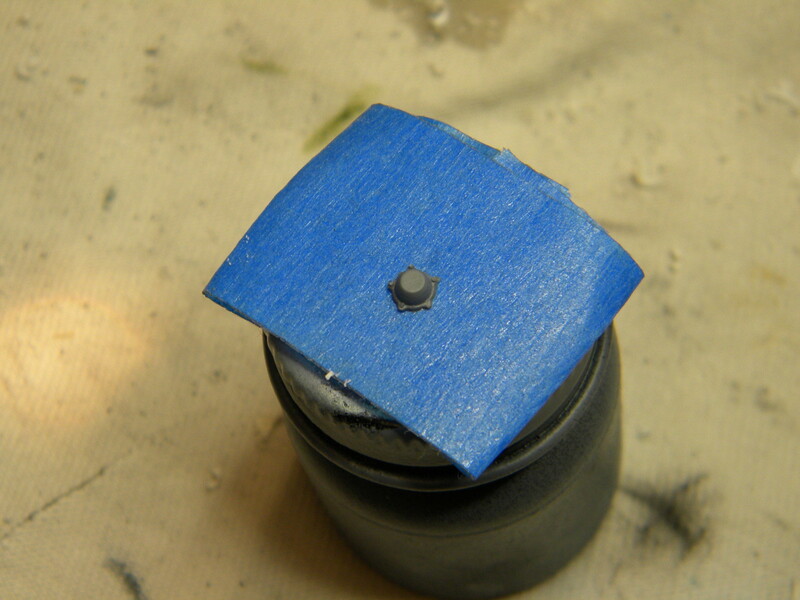 This required a lot of modification but it seems to have worked pretty well. 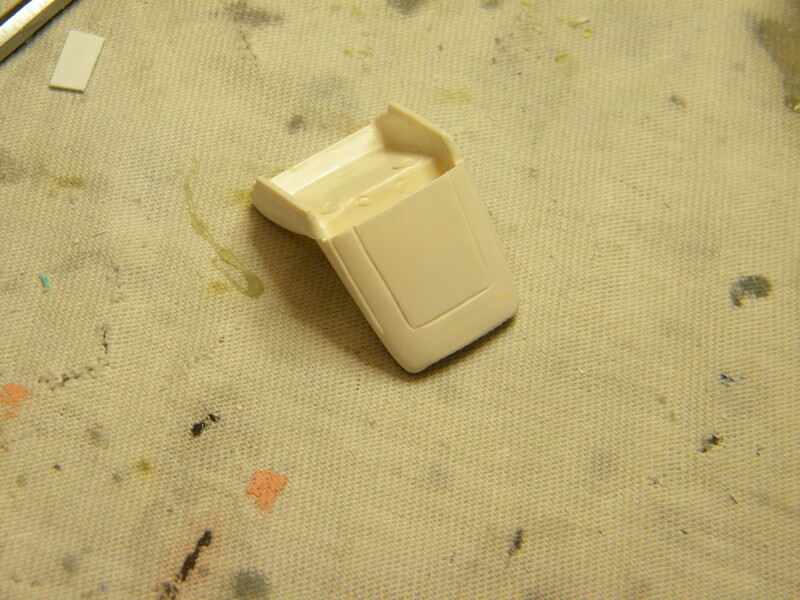 I started by cutting the door panels from the interior tub. Then the top well section was removed and replaced with plastic sheet in several layers to bring it back to the correct thickness. 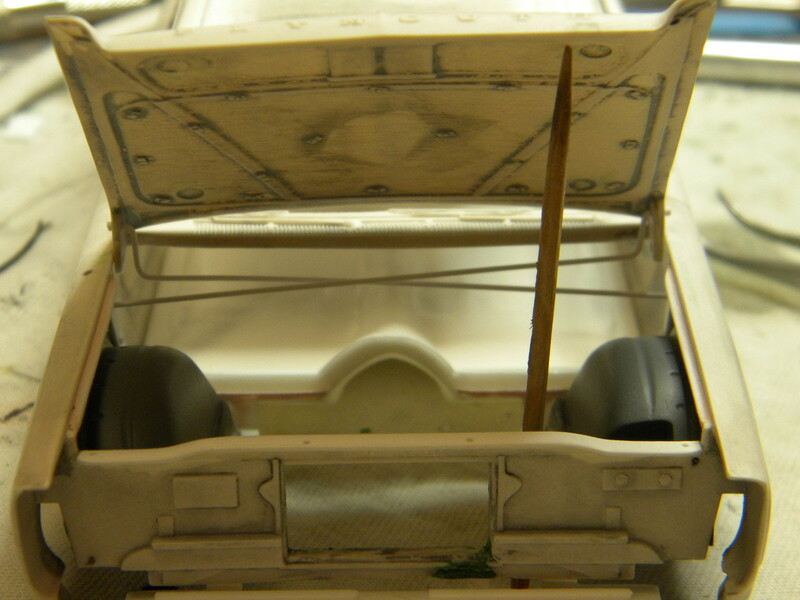 The original pleated sections of the door panels were saved, re-scribed and filed and sanded for better definition. 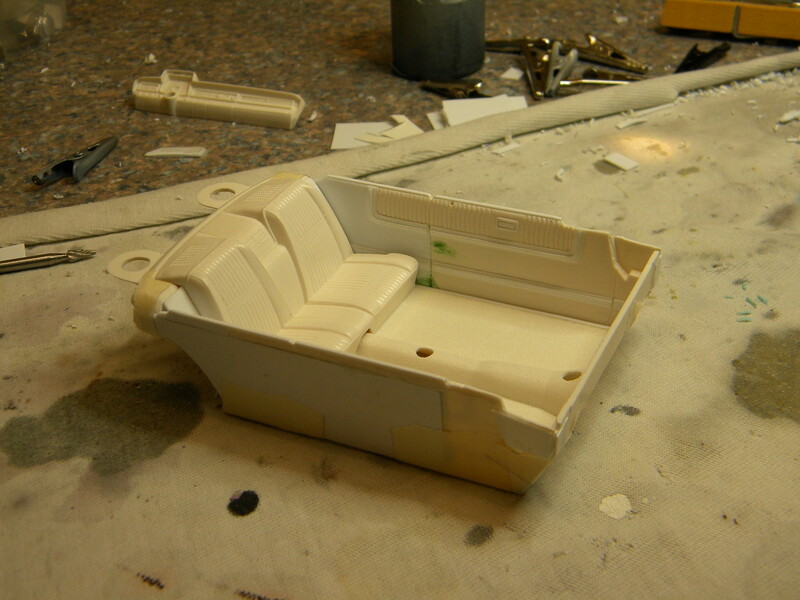 Then all of the original trim, arm rests and window cranks were removed and the task of replacing it all began. 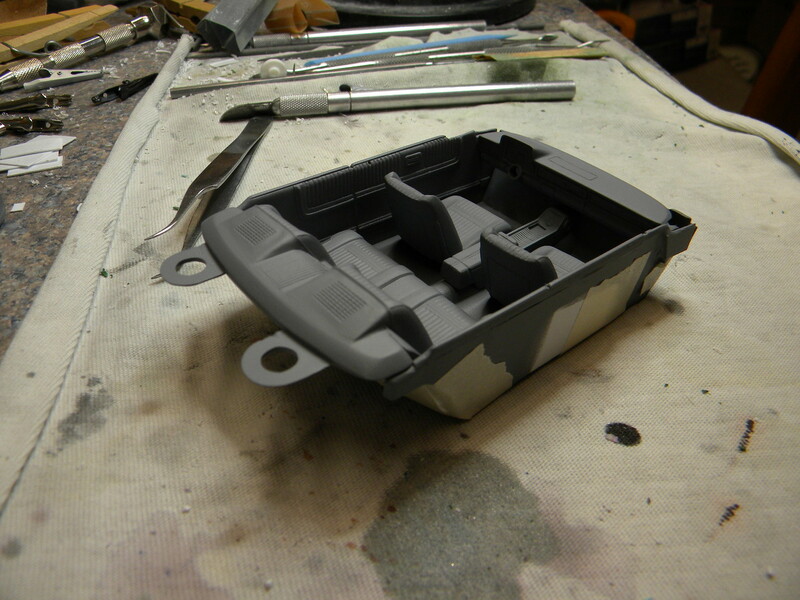 As I worked on the door panel process, it was also necessary to fabricate some filler panels for the rear seat. 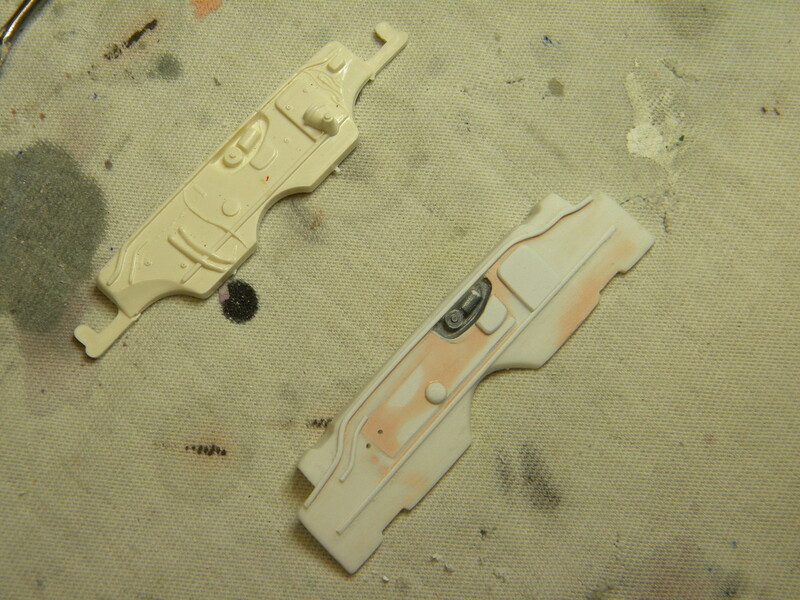 I also replaced the door badges with some plastic stock. 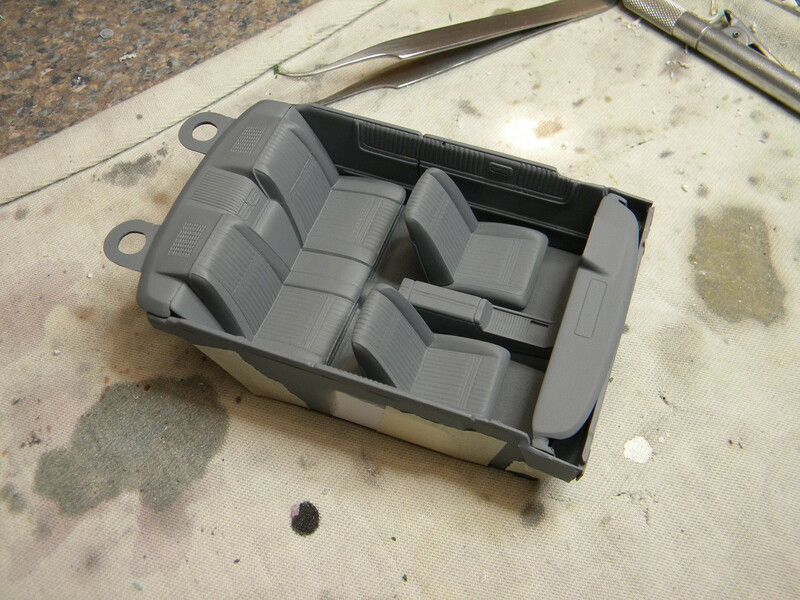 At this point, the basic door cards and rear seat are pretty much done. 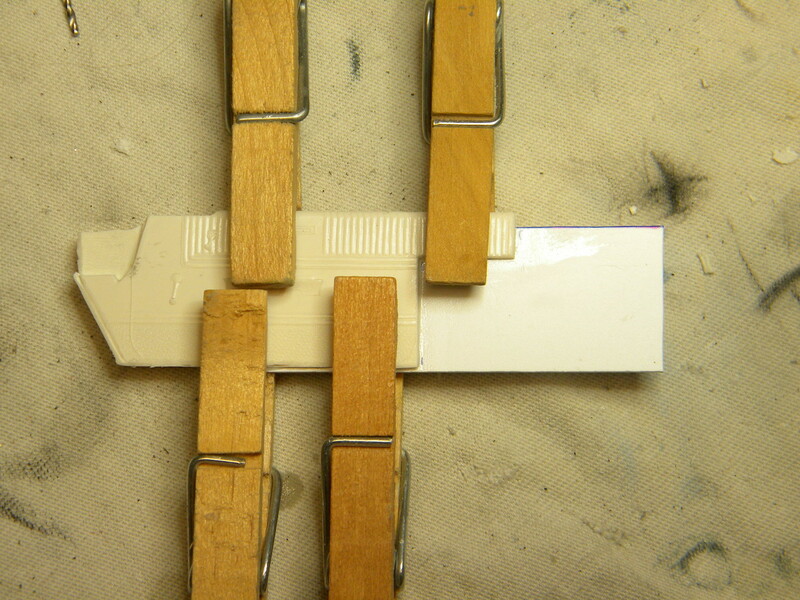 When an interior tub is cut apart, there is inevitebly narrowing of the interior tub due to material loss, so strips were added to the floor sides to widen the tub back to original size. 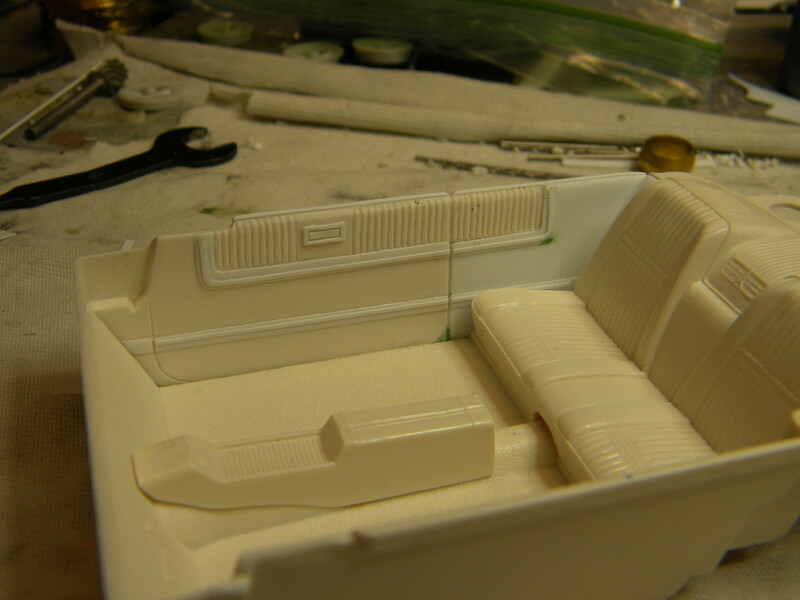 Next, a few mods were started on the seats and console. 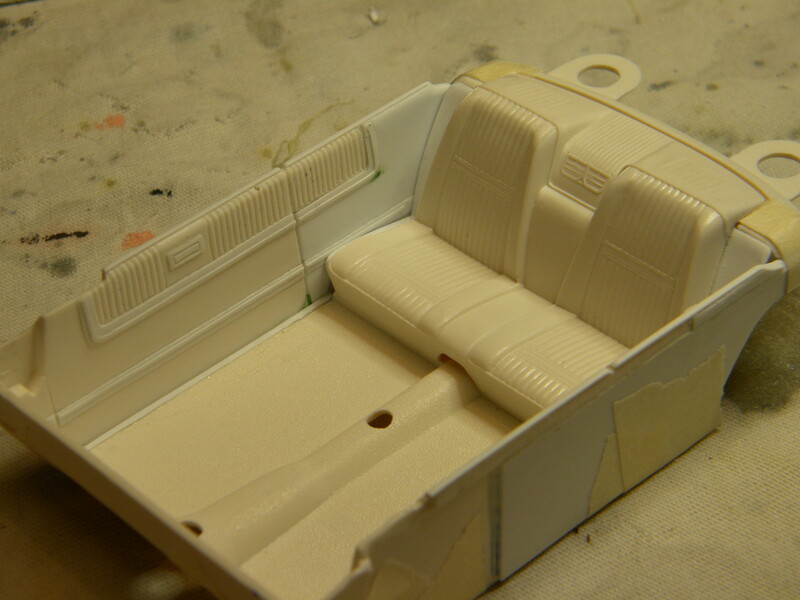 The seats were just gone over with some selective scribing and sanding to improve definition, and grooves were scribed into the seat back for the seperation of the upholstery and the carpeted seat back evident on the 1:1. 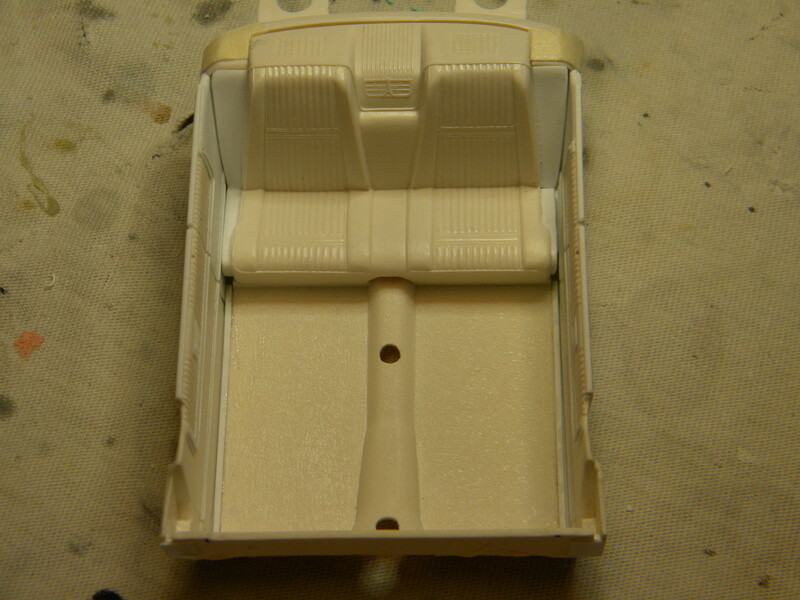 Likewise, the console had all of the trim and glove box door lines scribed in. 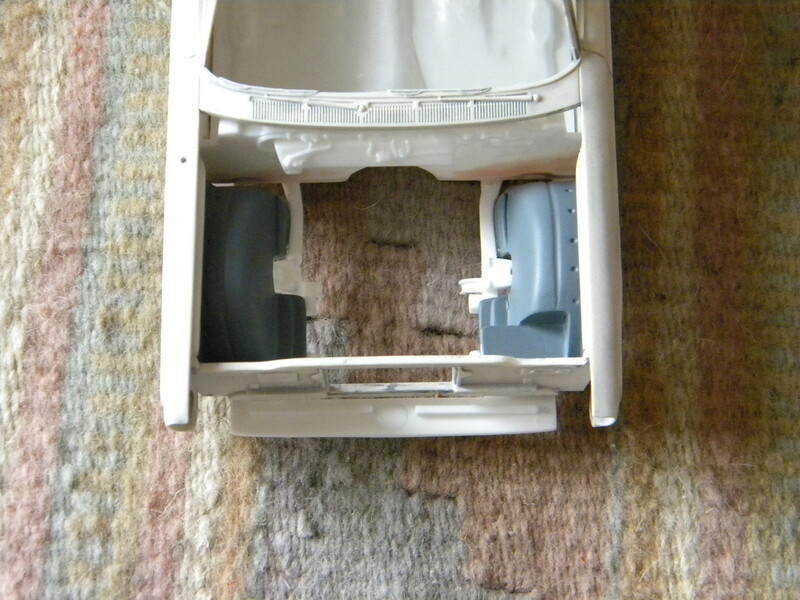 A section of the "skirt" at the rear of the console was removed to resemble to real article, floor "courtesy lights" were added, and a hole cut for the four speed boot. 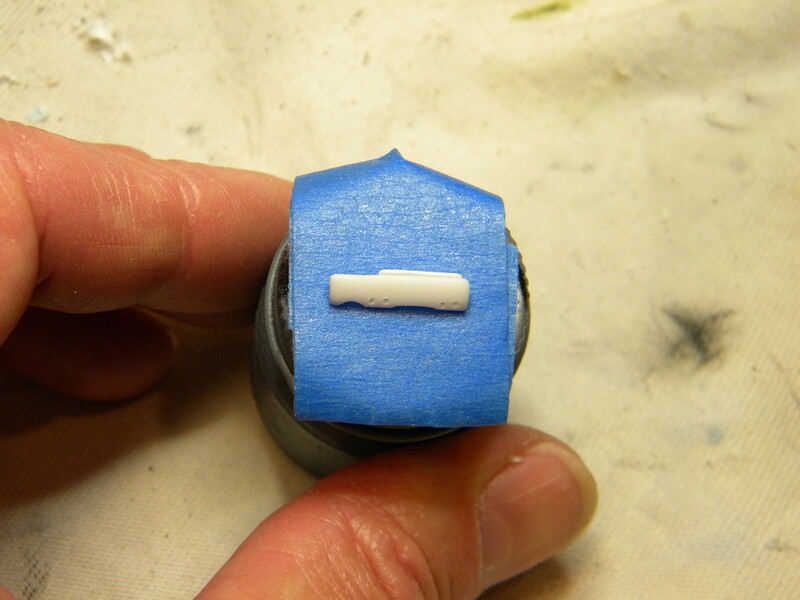 Next, I began fabricating some arm rest detail, which will be added at a later time after painting. This is the point that I am at right now. 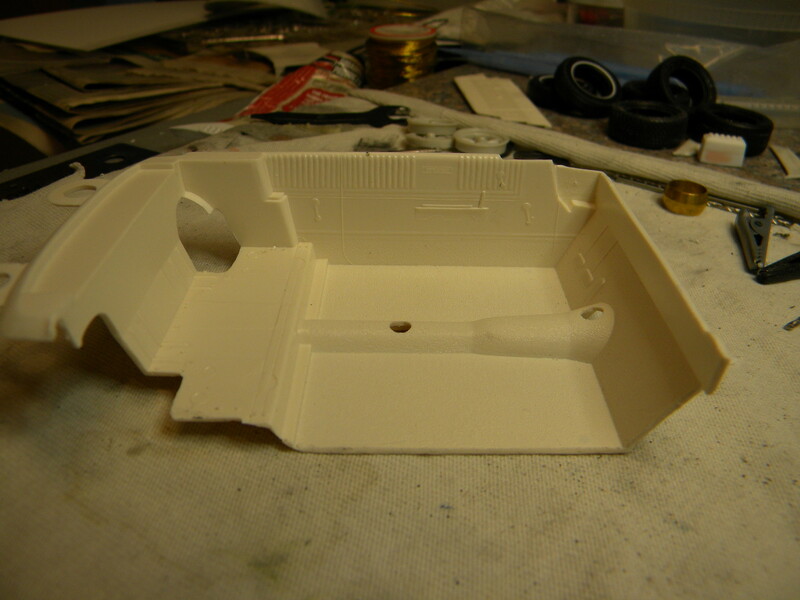 For the most part, the interior is ready for priming. You got MY attention with the title! One of my favorite cars. 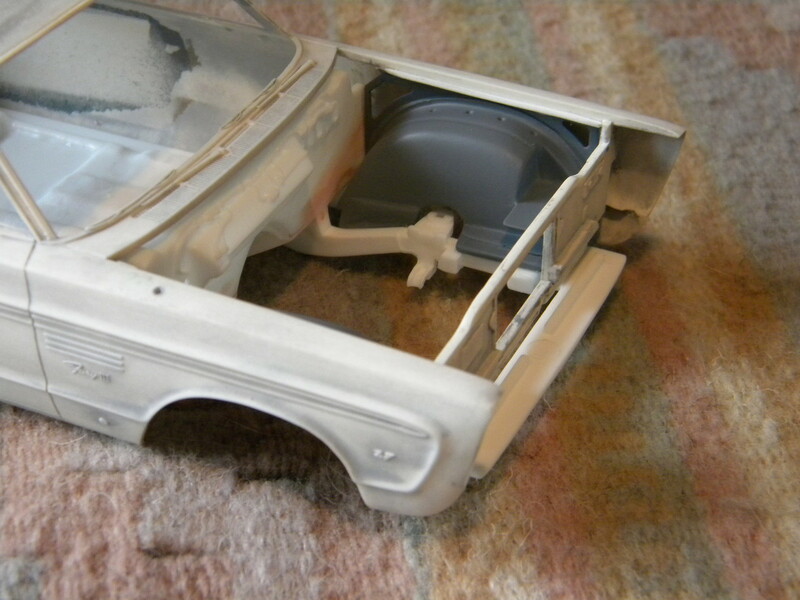 Question: What inner fenders did you use? 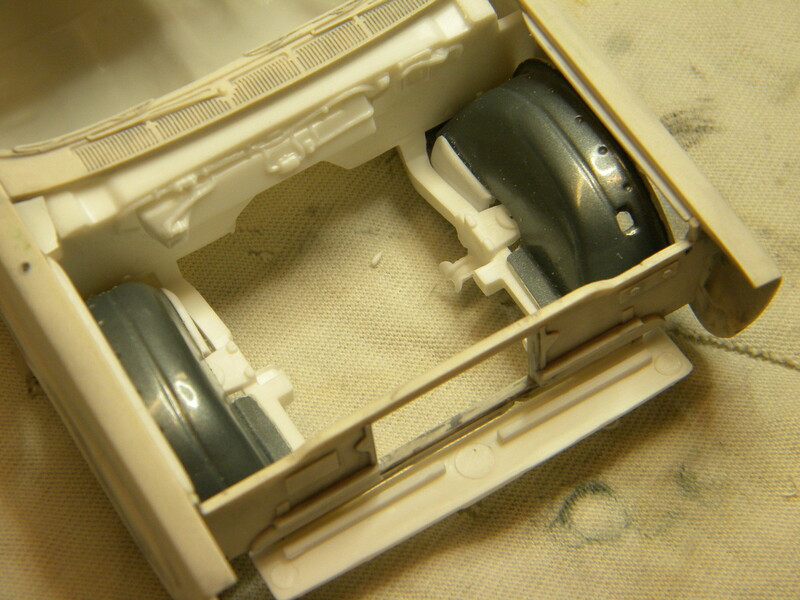 They are from the original Johan '65 Plymouth chassis. 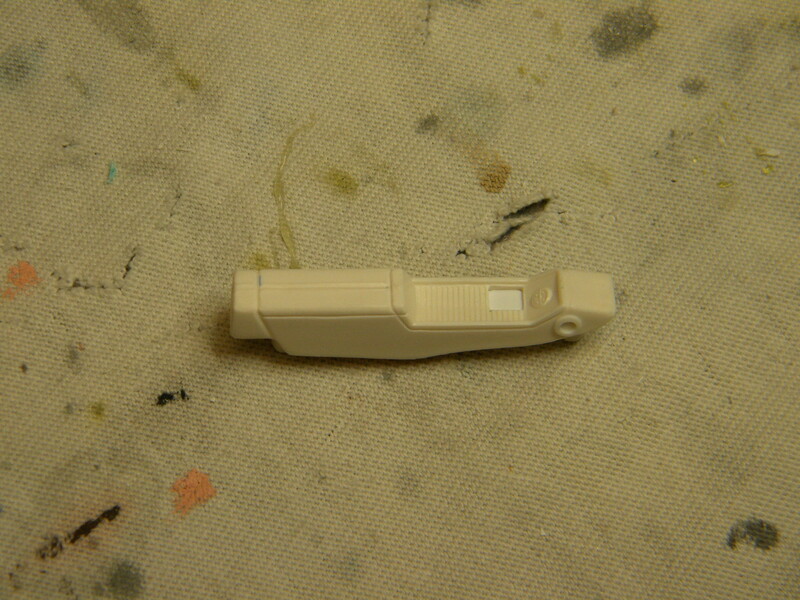 They had been detailed a little the first time that I started this project. 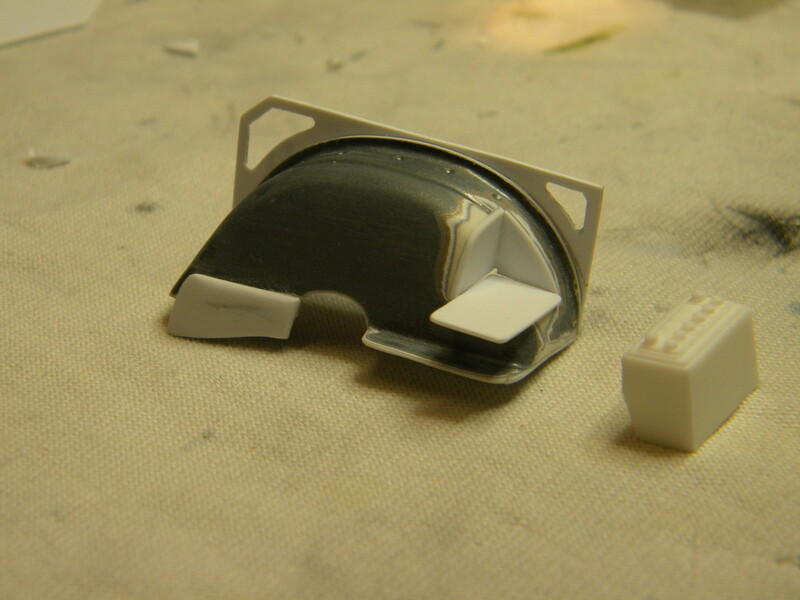 So I decided that I could cut them from the original chassis and utilize them here. 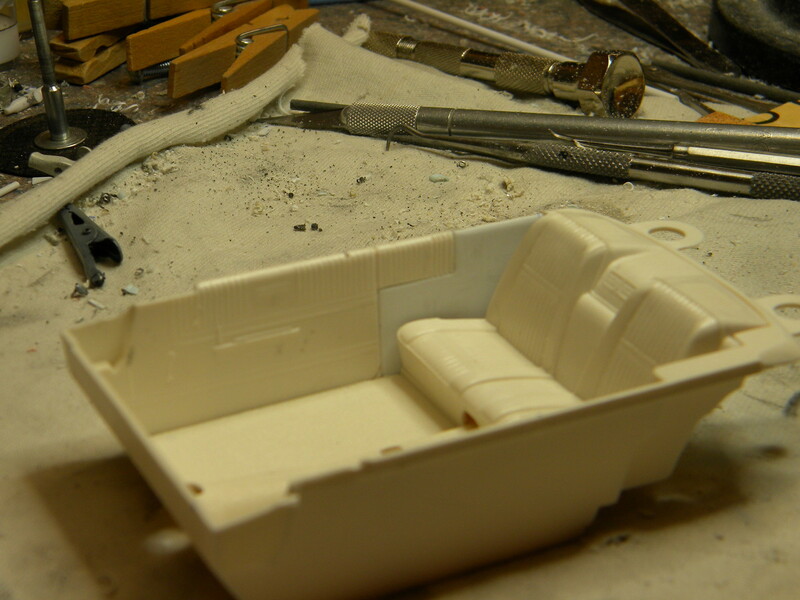 Interior is primed and mocked up. Everything seems to be acceptable, so on to more body prep. Impressive interior enhancements once again! What a transformation! 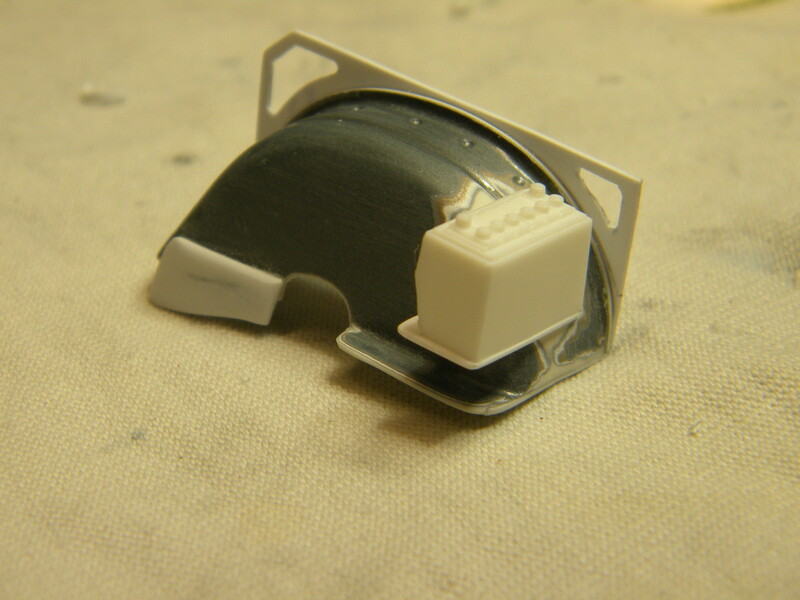 Those big interior mounting "loops" sure bring back some memories! Thats some neat fabrication. What did you use for the courtesy lights on the console? 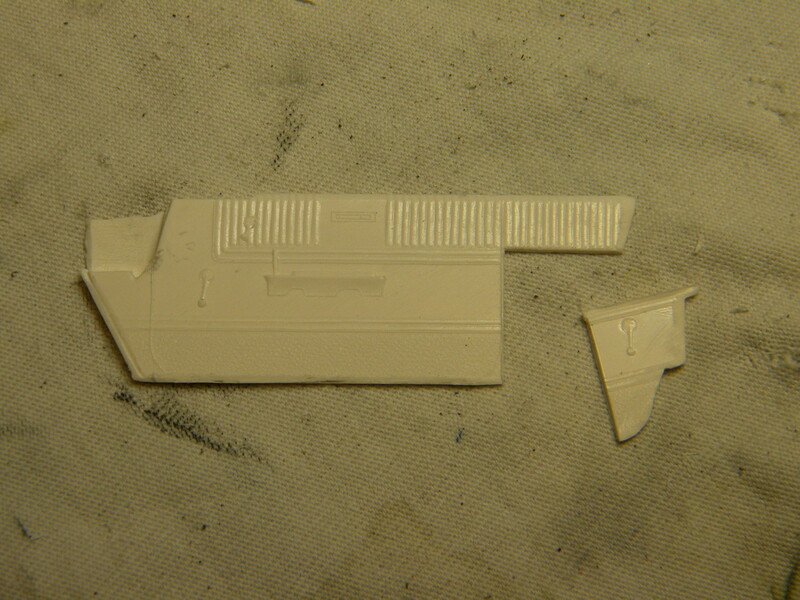 Just a thin slice of styrene tubing for the time being. 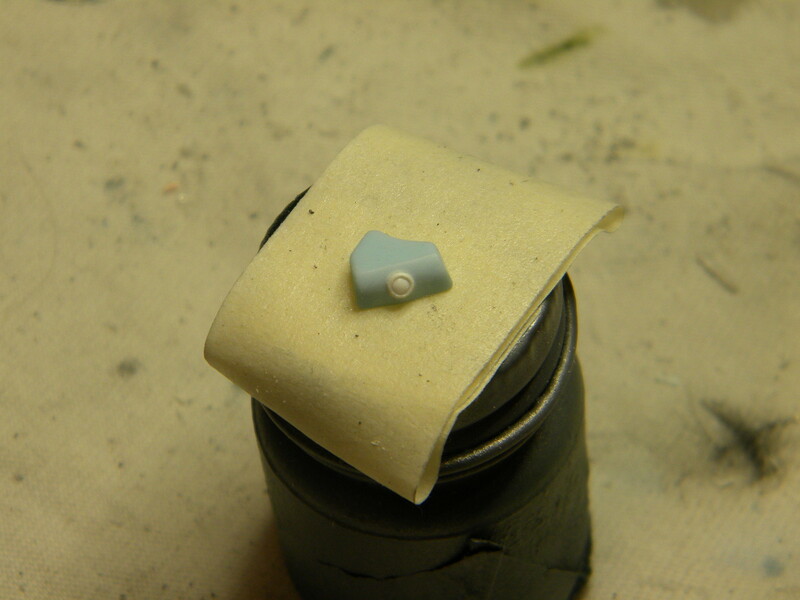 Eventually it will be foiled with a shot of Lazer Bond or epoxy for a lens. The dome lights in the C-pillars will be done the same way. 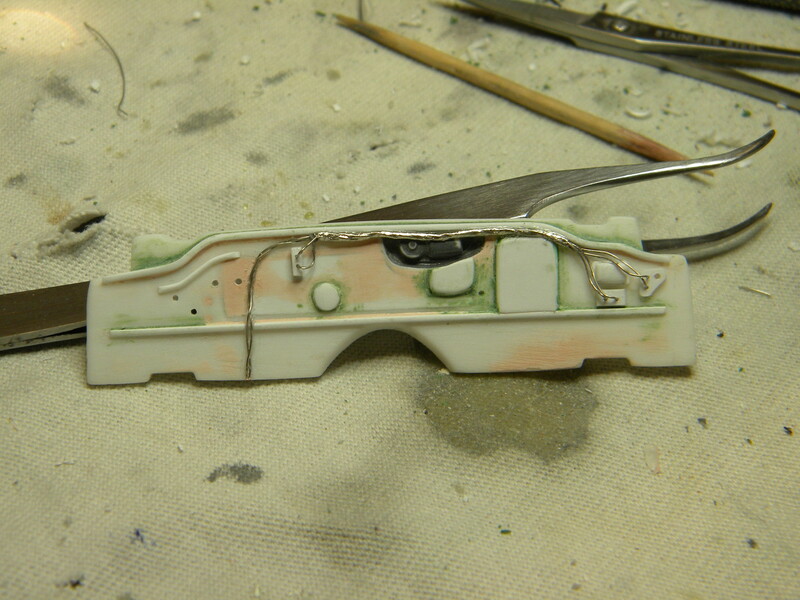 I decided that the firewall from the '64 Color Me Gone kit was not going to cut it for me, so I decided that I would modify it to more closely resemble the correct '65 Fury firewall. 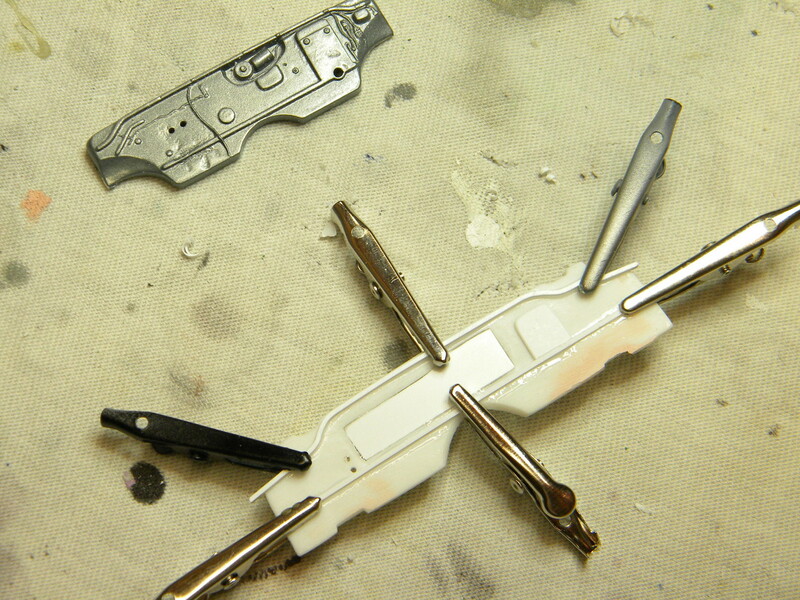 With the Easter holiday out of the way, I now have a bit more time to spend at the bench. Spent a little time getting started on replacing the firewall wiring. 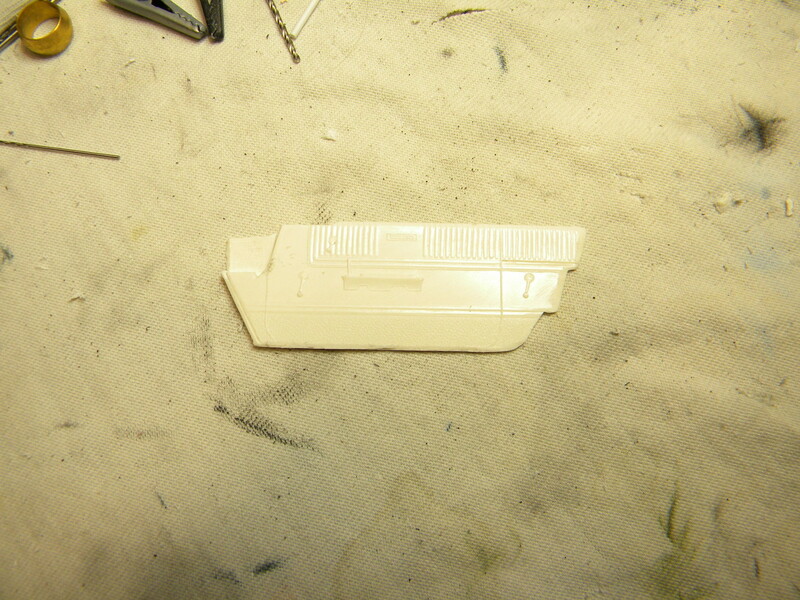 I also spent some time mocking up the hood hinge/spring arrangement. 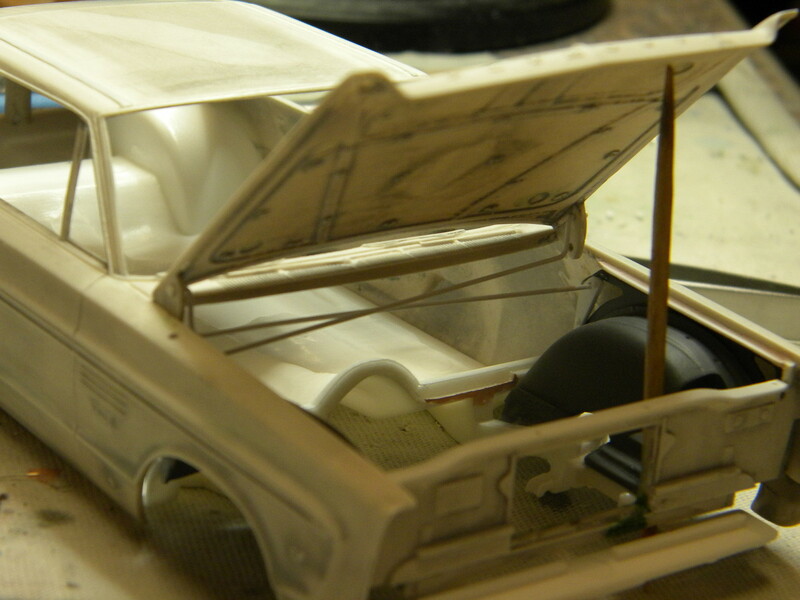 If it goes as planned, I should be able to display the finished model with the hood opened, or closed. From: Portland Oregon: Tree Country. Most beautiful area on the West coast. I've been following along since you started this project. This has been my favorite style of building that I've been doing for several years. Fun to watch how someone else approaches a build like this. I'll definetly keep watching.